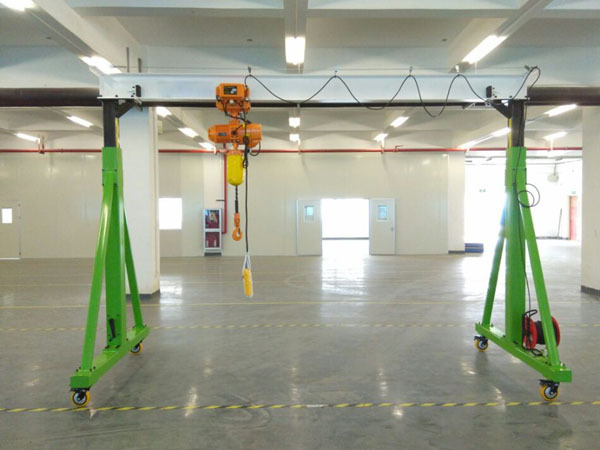 Worm wheel gantry crane has a full range of mobility, easy for installation and disassembly, covering a small area, with adjustable height (The Max. Adjustable height is 4m), precise positioning, easy to operate, reasonable steel structure design, withstand the weight from 1000-5000kg. 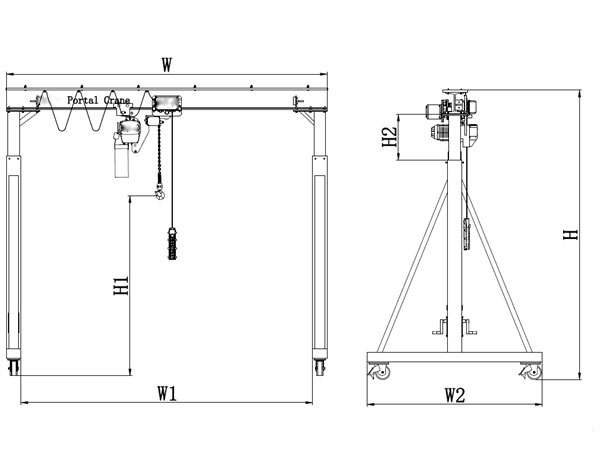 If the height of the plant is limited, the ultra low headroom hoist is available for low altitude operation.This kind of assembled gantry crane can be used on flat ground, warehouse, logistics center, production workshop, laboratories, clean rooms, etc. 6. The width and the adjustable range can be customized.